Many people, especially those who are not well-versed in the world of fitness, make the mistake of assuming that all supplements are "health foods" and that they can promote weight loss. A lot of people start going to the gym and working out, then take whey protein powder and wonder why they are not experiencing weight loss. The truth is that whey protein powder can be quite calorie dense – especially if it is taken mixed with milk. If you want to pack on lean muscle, and you are lifting weights a lot, then whey protein powder can help you, but whey protein powder will not magically support weight loss – especially not in someone who is not otherwise monitoring their diet. Whey protein powder is only useful for weight loss if you are in a calorie deficit and you are using the protein powder to make up for an otherwise low protein intake. Even then, most people do not need extra protein unless they are lifting weights several times a week. Take some time to educate yourself about what each supplement does before you start spending money on them. 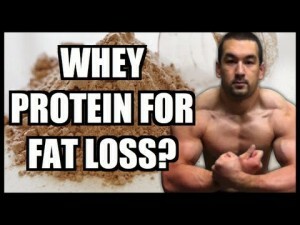 Whey Protein Powder & Weight Loss – Do They Go Together?